 Artist, Student hoping to go into Graphic Design.  I have none. Maybe Gundam Wing. All of the people in these PVs, minus the last one and the first one (Only the person with the umbrella and traditional Kimono on in this one) are male! This band is all female! 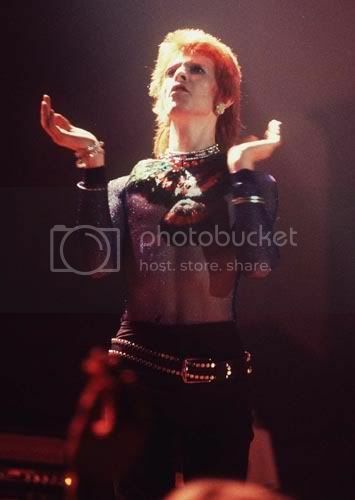 One of my newer obsessions at the moment is the British Davide Bowie. He's absolutely beautiful, even though he's sixty years old. 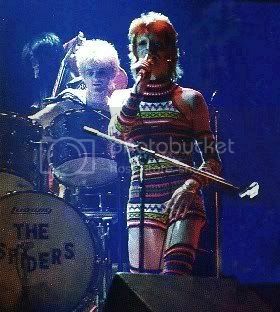 I especially love the days in which he was Ziggy Stardust. 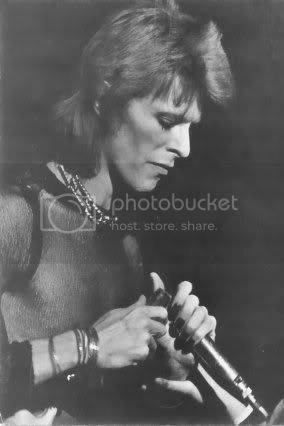 T___T The 70s, ah what good music they had then. Anyways, I had fun today! Didn't get a quiz in APUSH like I thought I would! Yay! They really shouldn't delete it because of the "image quality" That's just an excuse. The quality of the image was fine, you could see the costume pretty clearly. I realize I really haven't been on in a long while, but I've been really busy with school stuff and the anime club at my school. You see, I'm the Historian and therefore have a lot of responsability. Well, what should be the theme of the day today? Oh, my friend and I also made up a song too, though I can't remember all the words to it.